I've been in the industry since 2005. I've been with Foster Kia for 6 years. When I first saw the Optima hit the Auto show circuit, I knew that Kia was the brand I wanted to work for. When I'm not at work, you may bump into me at the movies theatres. I'm a TV and Movie buff. Greetings and Salutations, My name is Elijah and I have been working at Foster Kia for over 7 years now. I am a proud member of the Foster Kia family. I started working here back in 2010 and have had nothing but great experiences with both customers and employees here. I strive for customer service and satisfaction and have no problem going above and beyond to make our customers happy. Whether you are my personal customer or not, I am always here to help. When I was a kid and my parents took us car shopping, I remember how exciting and fun it was. That’s the experience I try to bring to all my customer; something fun, exciting, and memorable. I hope to see you soon! 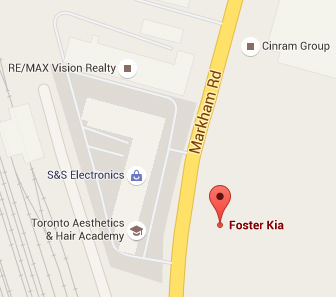 Hi my name is Kuan, I have been with Foster Kia since 2012. I got into selling simply because the dealership was right next to my apartment building, but I love selling cars and want to keep doing it. I am very friendly and love dealing with people. Putting a smile on my customers faces is truly what gives me joy! I am in this business because I highly believe in good customer satisfaction. If you are in the market looking for a vehicle please let me know and I will give you an experience to remember. I speak Mandarin and English. Hi my name is Spencer, I have been with Foster Kia since 2008. I started as a part-time car detailer when I was 16 years old and am now a new and pre-owned sales consultant. I attended the University of Western Ontario where I received my Bachelor of Arts degree. Most important to me is the customer’s experience and satisfaction. I strive to go above and beyond to help every person who walks through the door and make them feel like family. I will be looking forward to giving you the best experience possible. I speak English and Tagalog.